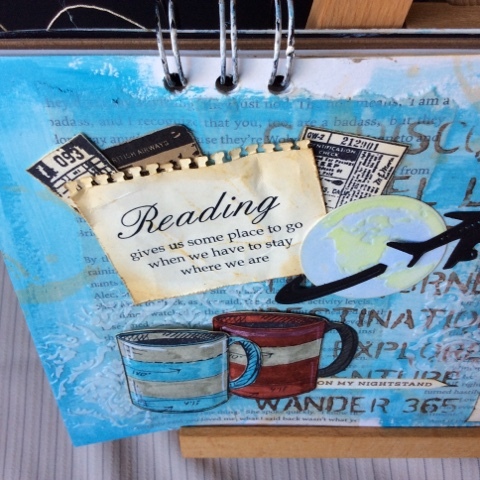 I'm back today with another art journal page that I quite literally lifted from one of my favorite art journalers, Vicky Papaioannou on You Tube. She has such a unique perspective ...it is most definitely more realistic compared to most art journalers and I think this is why I like her style so much, there is a focus on a particular idea and for so long this is what was missing for me with other artists. I like to document about the things and hobbies that I enjoy and she has completely transformed the way that I want to capture these bits and pieces about myself. The downfall on my part is that I am not a very good art journaler yet...so therefore I took one of my favorites of Vicki's and copied my own version of it, so I owe this awesome inspiration to her for sure. 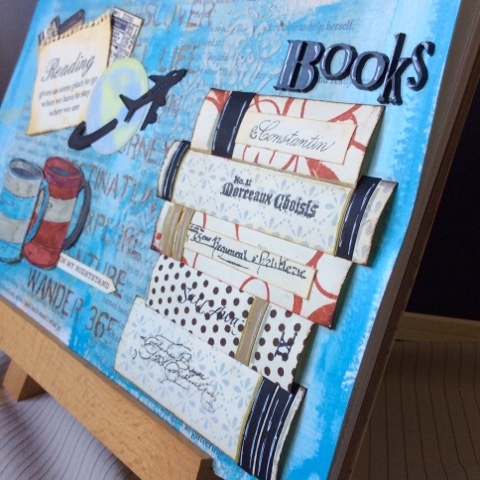 The good news is that in doing a page similar to hers and following along with her video, I was able to grasp her motive behind how and why she does certain techniques the way that she does. In many of her videos she not only tells you what she is doing and how but she mentions also...the why of it and I find I am really curious about that so I am thankful that she shares this part of herself. Like her I want my pages to reflect my personal style and my daily routine so that it is rather an extension of my reality, my life. 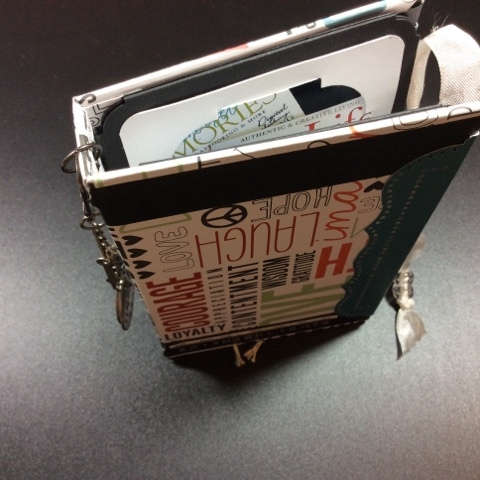 Now as I mentioned there are lots of journalers out there that do a ton of great work but most of the older styles of art journals didn't really do much for me. Some were too busy with color and imagery and then some were too quiet without any focus so when I found Vicki on YouTube about a year ago, I fell in love with her vision and most certainly her style so...don't be surprised if I do a few more lifts from her and then hopefully I will take what I have learned and run with it. 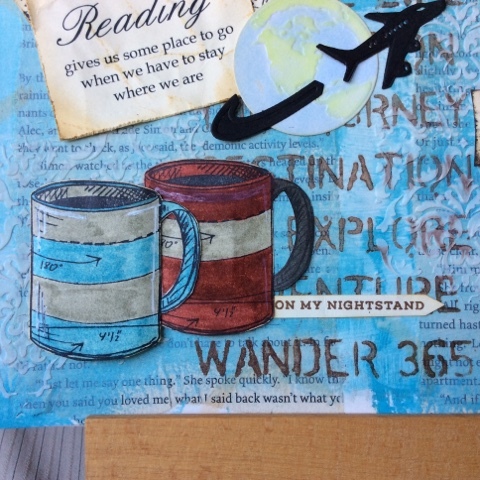 So there you have it, an art lifted journal page that I love. Thank you Vicki...please keep sharing all of your inspiring work the way that you do it because really you are quite amazing and I love it. 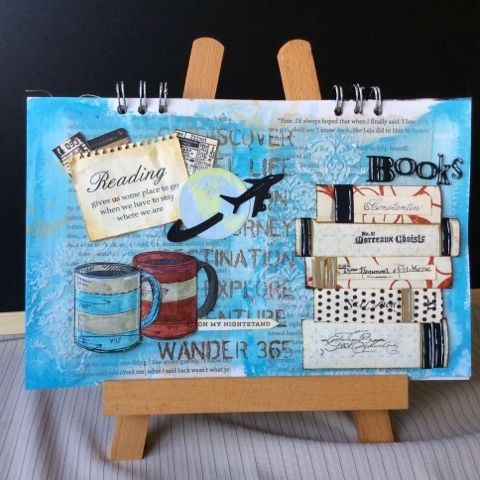 For those of you who haven't seen Vicki's videos on her art journal pages, I have posted the link below to this page that had me so inspired, check it out if you wish and here's to a wonderful day!